The best thing since sliced bread. 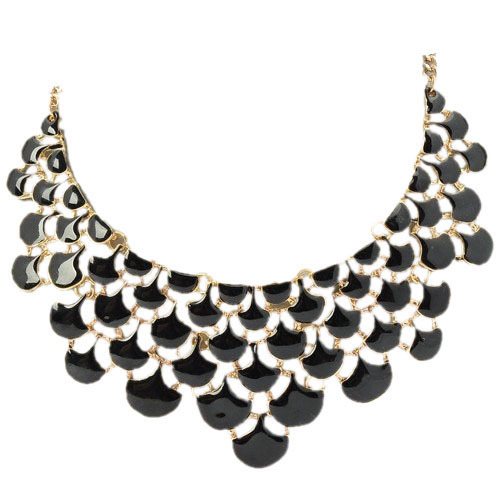 The Yasmine necklace is a brilliant arrangement of fanned noir acrylic beading set into plated gold metal. Wear it with a messy up-do and something floor-sweeping.